It’s been a few days now since we have been back from our Virginia vacation and I am slowly getting back into the groove of things… very slowly. While we were there, I discovered a couple of wines that I wanted to share with all of you. Two of them are Virginia wines and the other was a gift from my brother while we were there. Ellwood Thompson’s is a completely natural store in Richmond, VA. This white wine was made specifically for them from five types of Virginia grapes. 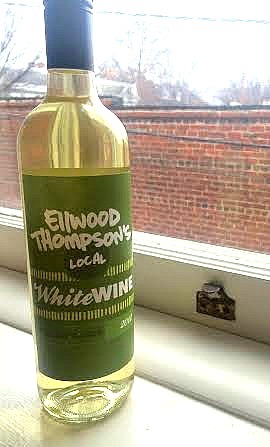 It was produced and bottles in Charlottesville, Va. You can’t get much more local than this wine! Taste: This wine had an interesting flavor profile. It had a sweet and almost tangy start with a dry finish. There are notes of apple and pear along with other fruit flavors. There is a hint of oak near the finish as well. For my personal taste, it was a little too much on the acidic side although the overall flavor profile was good. I would give it a 3 out of 5. Château Morrisette is a beautiful winery located in Virginia. 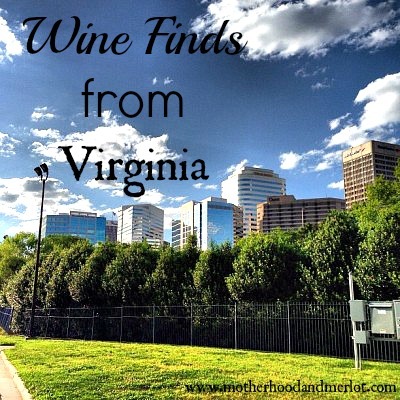 They have a huge variety of local wines that use Virginia products. “The Black Dog” is a red blend that is slightly dry. Taste: This wine is said to be full of berries and other dark fruit flavors combined with a hint of spice. It is a medium-bodied wine that has a slight (but not overly) dry finish. This is not a local wine to Virginia. but since I learned about it while I was there I figured it would fit well with this post. This 2012 Cabernet is actually from California and you can find it at most wine retailers and some grocery stores. Taste: This is a very heavy and full-bodied red wine. It is full of dark fruit notes, maybe cherry and plum, along with ripe blackberries. The fruit notes are accompanied by a spiciness and almost a smokey flavor that gives this wine some complexity. The finish is smooth and not too dry, which I really enjoyed. I usually like rich wines and this one was no exception. I would give this between a 4 and a 4.5, out of 5. I would love to know, what is your favorite local wine? Side-note: As some of you may have seen, I announced some big news on Monday in my “Surprise” post. Because of that, Wine Wednesday’s will now be every other week with reviews only once a month for the next few months:) I’ll focus more on specific wine and food pairings and things like that. LOVE! It is so much fun to explore regional wines. I am going to have to send you something from Texas that you can enjoy one of these day. They have delicious reds that you’d love. 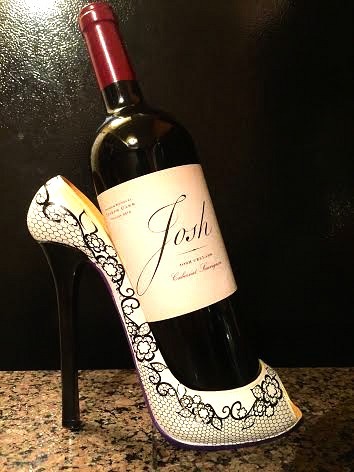 Love the wine in the shoe bottle I will have to see if those wines are near me as I am just near the border of VA.
That particular wine you should be able to find pretty much anywhere I think.